Can tooth brushing wear off my teeth? noncarious cervical lesions; this type of tooth wear is not a typical cavity, but if left untreated it will lead to caries/cavity formation. 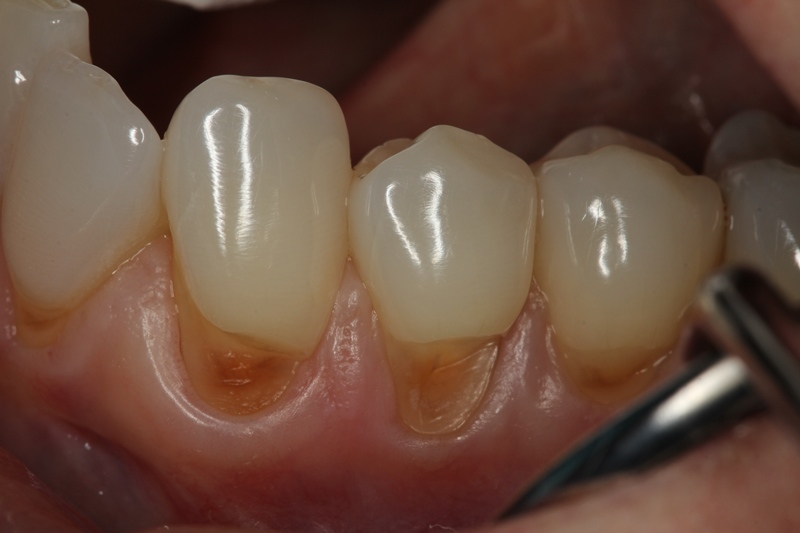 Wear on the exposed roots of teeth (noncarious cervical lesions) have been investigated for decades. Many theories were proposed and many researches were conducted to validate these theories. While different factors are cause this type of ear, a recent Study demonstrated the abrasive particles (regardless of its quantity) used in variety of toothpastes in addition to HORIZONTAL (Scrubbing or back and forth) tooth brushing are the two main reasons, to cause these types of wear. While they cause teeth sensitivity (especially in younger people) when they become deep enough, cavities (tooth decay) can occur. Consult with your Dentist, to find out what is the best way to prevent or treat if you have this type of teeth wear.